4th Annual Hush Weekend | May 23rd-26th, 2019 - TheUrbanMusicScene.com | Concerts & Festivals! The annual destination event weekend promises revelers a fun-filled party and entertainment experience beneath the beaming city lights of Washington, D.C. and it’s booming surrounding area. Set to be it’s best edition yet, Hush Weekend will feature 4 days of pulsating music, energy, vibes and frankly the sexiest people on the planet! Each year, Hush Weekend draws thousands of Caribbean, International and Popular music enthusiasts looking for an unforgettable weekend of culturally themed entertainment and fun!! This year, 5 events will erupt over the event weekend including the kick off “Shhhhh!” Silent Headphones Party at D.C. hot spot Big Chief on Thursday, May 23, “We Love the 80’s 90’s & 00’s” on Friday, May 24 at Fire Station 1, “French Toast” Breakfast Party and “Pure” The All White Party on Saturday, May 25 and “Glow” The Foam Party on Sunday, May 25. Hush Weekend will come alive during it’s signature ‘Pure’ The All White Party. Further solidifying the chock-full weekend is the amazing line up of national, international and award winning DJs including Renaissance Disco, Natural Freaks, Chinese Assasin, Superslice, Half Krazy, Ablaze, Fyah Oats, Kilo Vibes and more to be announced! 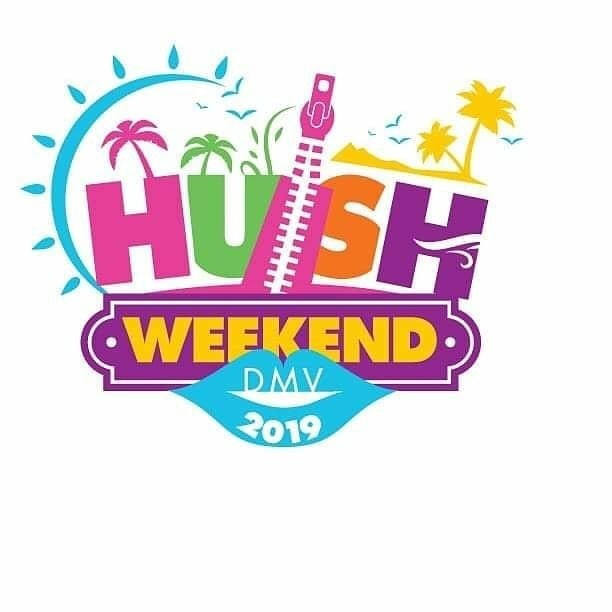 What makes Hush Weekend an iconic entertainment experience is the awesome collective of tastemakers and promoters that bring the event to life each year including Dwayne Simpson, Devon Charles, Ramondo Green and Santana Salazar. Launched by Simpson in 2016, Hush Weekend has evolved into a prominent entertainment brand. While Caribbean entertainment is a driving force for the weekend, the event has expanded to feature an impressive fusion of music genre.